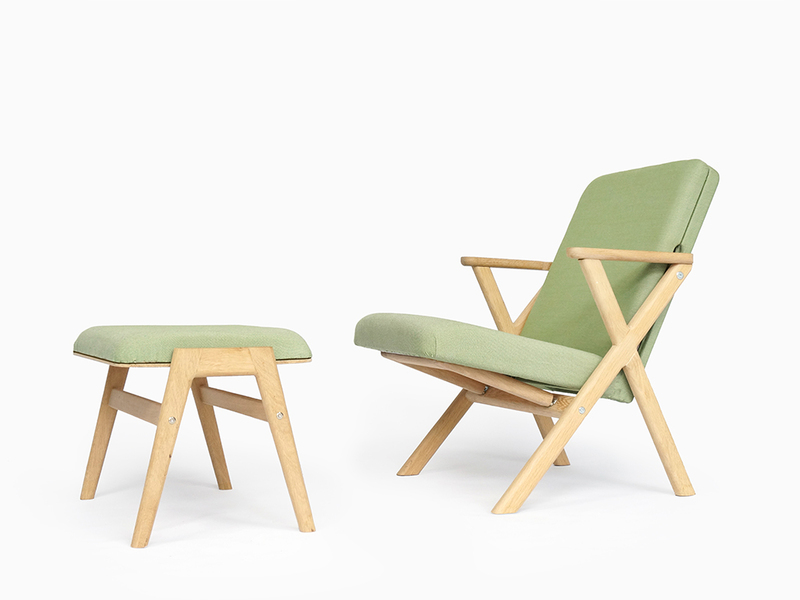 The Hybrid Chair can easily be transformed from a desk chair to a lounge chair and vice versa. 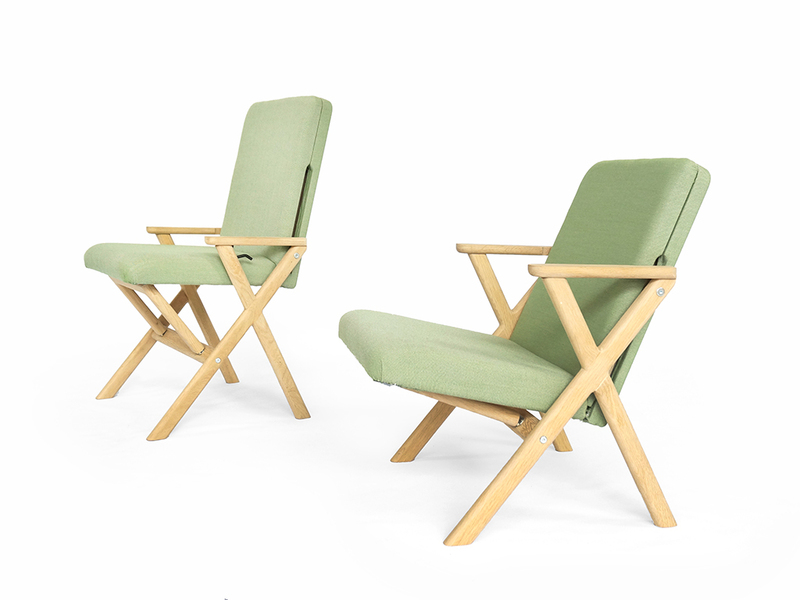 By lowering the seat, the angle will gradually slide backwards into an ergonomic relaxing position with armrests. 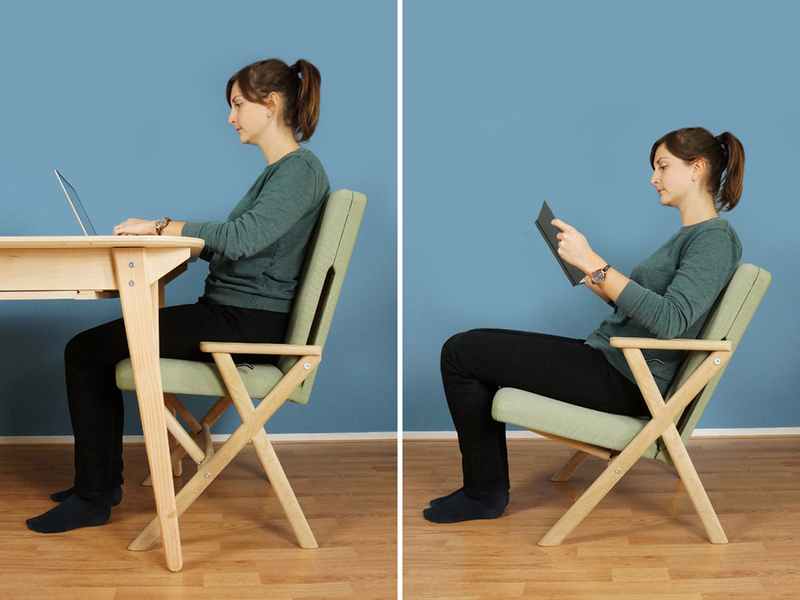 Pull the seat up again and the chair slides in a horizontal position, ideal to sit at a table or desk. 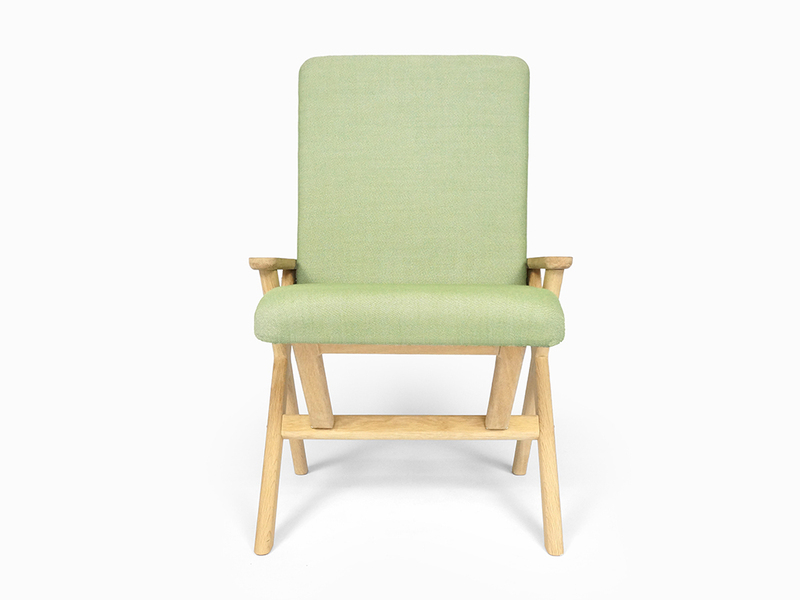 The Hybrid Chair is therefore the ideal mix for people who do not want two separate chairs or simply do not have the space for it, but still like the comfort of a relaxing and active seating position. 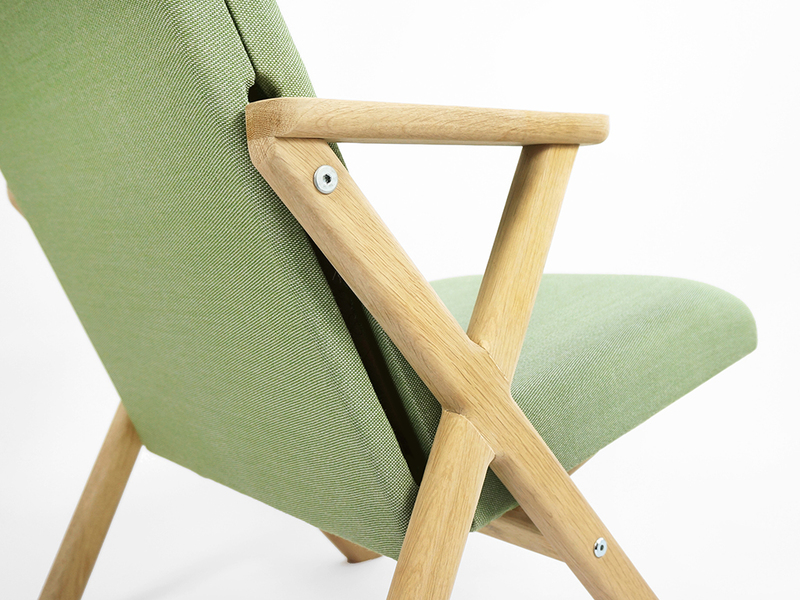 The Hybrid Chair is handmade in the Netherlands and made from solid oak. 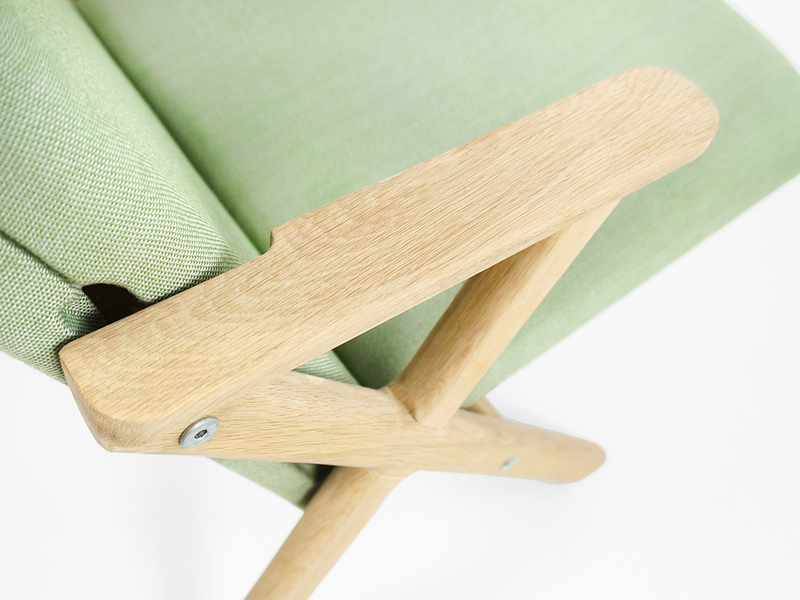 The seat is upholstered in a wide choice of quality fabrics.